The Verified Carbon Standard (VCS) aims to play a major role in California’s cap-and-trade program now that the California Air Resources Board (ARB) has decided to allow the VCS to help administer parts of its compliance offset program. But the VCS has its sights set higher: aiming to help California welcome REDD+ (reduced emissions from deforestation and forest degradation) projects into the program. The ARB – the US state agency charged with overseeing the program – has designated the VCS as an offset project registry (OPR), which allows it to facilitate the listing, reporting and verification of offset projects developed using the ARB’s compliance protocols and help those offsets transition into the cap-and-trade program. With the OPR designation, the VCS can pre-screen carbon projects, including offsets developed under the recently approved coal mine methane (CMM) protocol, on the ARB’s behalf. The VCS joins the American Carbon Registry and the Climate Action Reserve as OPRs. In April, the ARB added a mine methane capture project type – based in part on two VCS methodologies originally developed in the voluntary carbon market – to its roster of eligible offset protocols. ARB staffers have previously estimated that the protocol could produce a potential domestic offset supply of 60 million tonnes of carbon dioxide in emissions reductions. The new protocol will provide “a fairly large chunk” of offsets to the California program and the VCS has a few CMM projects that could convert their verified carbon units to ARB-approved offsets, Antonioli said. The VCS is hosting a webinar on September 9 to lay out its OPR pricing structure, but the organization has decided to waive all enrollment fees for project operators that want to start a VCS California account for the rest of 2014. It will also be hiring a Director of North American Compliance Markets based in Northern California. “We want to play a real role in this market,” Antonioli said. 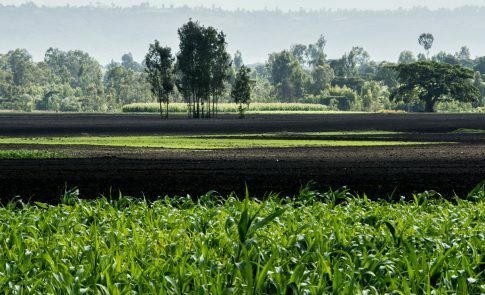 But VCS officials have high hopes for the potential inclusion of international REDD offsets in the California program using the VCS jurisdictional and nested REDD+ (JNR) approach, which features the first framework for accounting and crediting REDD+ programs implemented at either the national or subnational (state) level. The framework also establishes a pathway for existing and new subnational jurisdictional activities and projects to be integrated or “nested” within broader jurisdictional REDD+ programs. The VCS believes its jurisdictional approach is in line with the recommendations of the REDD Offsets Working (ROW) Group. In July 2013, the ROW recommended the acceptance of only jurisdictional REDD+ offsets and ARB staffers have pledged to consider including sector-based REDD offsets into the state’s cap-and-trade program. The Brazilian state of Acre – with which California and the Mexican state of Chiapas have a memorandum of understanding (MOU) – has been the first jurisdiction to pilot the JNR framework and is “really quite close” to becoming the first jurisdiction-wide program to deliver compliance-grade REDD+ offsets, Antonioli said. 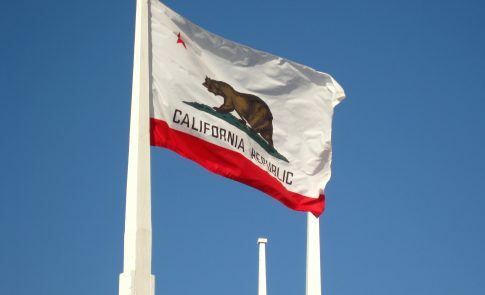 Meanwhile, officials in California and Mexico in late July signed a MOU and formally agreed to work together on a range of actions to address climate change, including pricing carbon pollution. The most obvious area of cooperation would be for California to recognize REDD offsets generated by projects located in Mexico in its program, he said. “I think there are great opportunities for making things happen across the border,” Antonioli said. The VCS is also hoping that the ARB will allow Alaska-based forestry projects into its compliance program, Antonioli said. In a July board meeting, ARB staffers said they were planning to propose an update to the ARB’s forestry protocol in late 2014 to allow these projects into the program. The VCS has registered and issued offsets to the Afognak Forest Carbon Project, an improved forest management project that covers more than 3,300 hectares located on the North coast of Afognak Island, Alaska. The project has a lifetime of 30 years and is expected to sequester 1.56 million tonnes of carbon dioxide equivalent over the 2006-2036 timeframe, according to the verification assessment completed by the Rainforest Alliance.